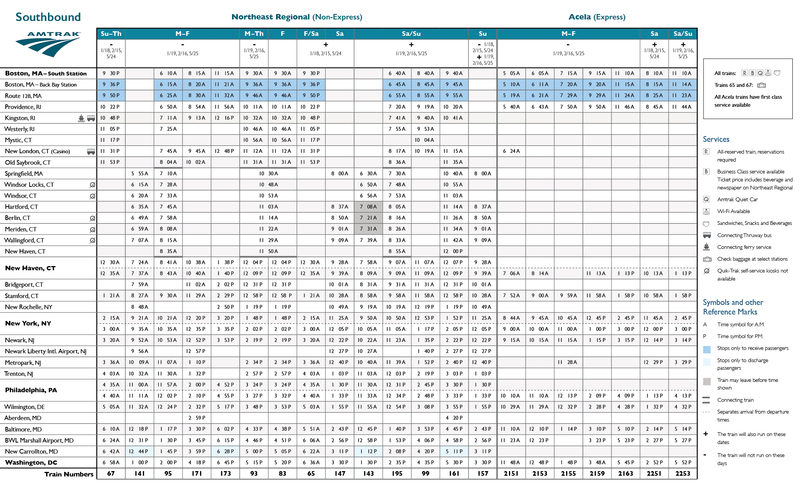 A table, using information from an original Amtrak schedule. A project concerning information architecture and user interaction. This assignment was to improve upon an existing timetable, beginning with user testing to see what could be improved.